Here are the top hotels for your Sleeping Giant ski trip! 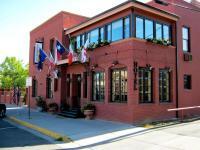 Dating from 1903, this refined hotel is a 10-minute walk from Buffalo Bill Center of the West museum, 6 miles from Cedar Mountain and 10 miles from Buffalo Bill State Park. Individually decorated rooms and suites feature antique furnishings, flat-screen TVs, free high-speed Internet and coffeemakers. Some have kitchenettes, claw-foot tubs and/or sofas. Amenities include a bar, a cozy lounge, a library and an airy sunroom, as well as a courtyard, and a balcony with mountain views. 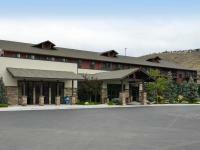 This Cody hotel with a lodgelike exterior is a 3-minute walk from Old Trail Town and 1.9 miles from Buffalo Bill Center of the West. The relaxed rooms and suites (some with balconies or patios) feature flat-screen TVs, DVD players, iPod docks and free Wi-Fi, plus microwaves, minifridges, and tea and coffeemakers. 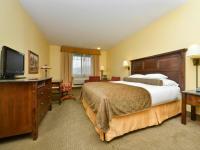 Amenities include an indoor pool, a hot tub and a gym, plus a business center and meeting rooms. 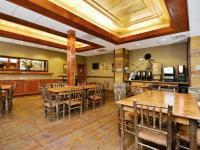 Breakfast, lobby refreshments, Wi-Fi, parking and airport transportation are complimentary. 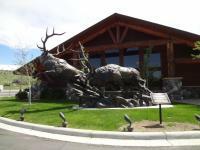 This log cabin–inspired hotel is a mile from both the Buffalo Bill Center of the West museum and the seasonal Cody Nite Rodeo. The laid-back rooms feature western–style decor, and offer free Wi-Fi, flat-screen TVs and desks, as well as microwaves, minifridges and coffeemakers. 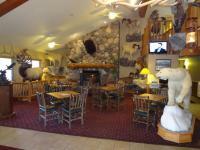 Free perks include hot breakfast, served in a rustic dining room decorated with animal mounts, as well as large-vehicle parking. There's also an indoor pool, a whirlpool tub, a laundry facility and a business center. Guests have access to a nearby fitness center.